Do you own a roofing company, or perhaps are an individual or roofing contractor in need of Scottsdale Roofers Insurance? It is highly important and even very necessary for you to have the proper coverage, as there are many high risk exposures when it comes to roofing. If you aren’t certain which coverage is right for you, whether you are a small company or large company, we have excellent customized plans that can suit any of your Scottsdale Roofers Operations Insurance needs. We can work with you to help you determine which policy would work best for you, then give you an estimate on rate. The Art of Shopping for Scottsdale Business Insurance!! 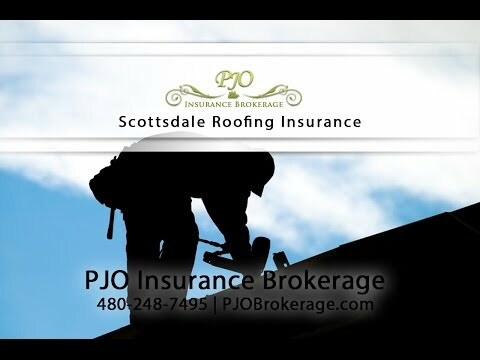 PJO Insurance Brokerage offers competitive and affordable rates for your Scottsdale Roofers Insurance as well as top notch service that will not only exceed your expectations, but go above and beyond to ensure that you have the proper coverage you need for your roofing operations, including for those large commercial jobs! Protect yourself from risk and liability in the event of an accident or injury by letting PJO Insurance Brokerage provide you with quality Phoenix Roofers Insurance today!